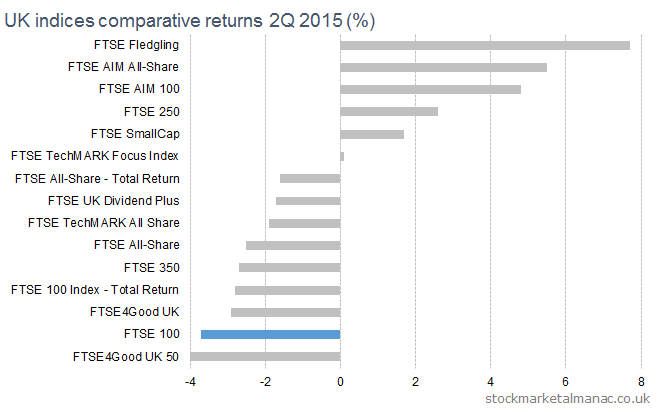 The following chart shows the performance of the main UK stock market indices in the second quarter 2015. 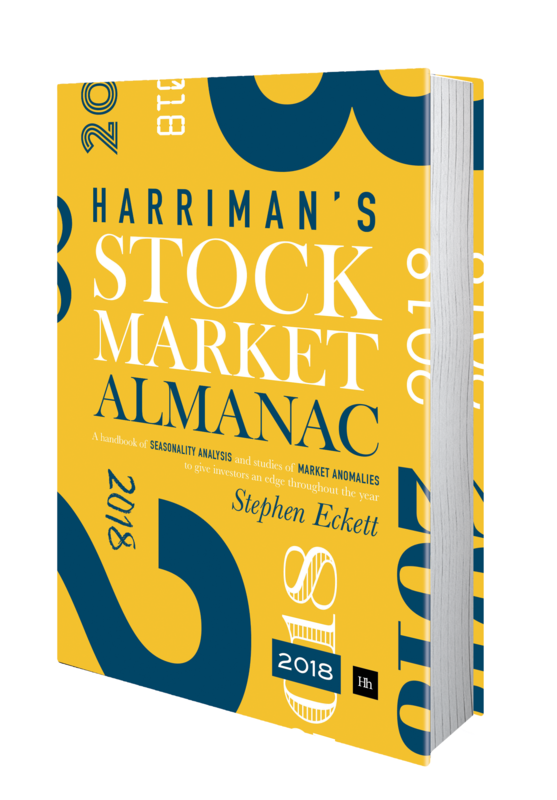 As in the first quarter, small caps easily out-performed large caps. 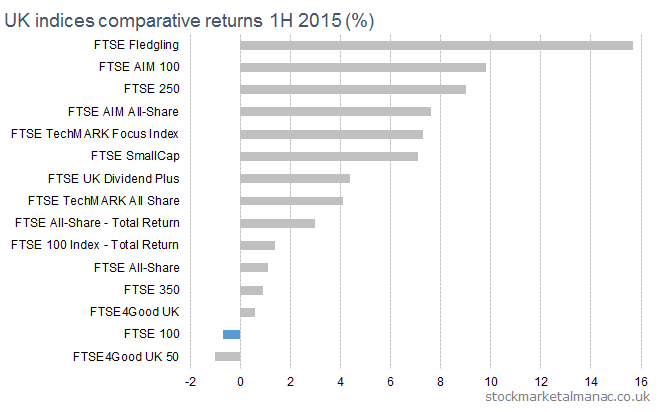 The following chart shows the performance of the main UK stock market indices in the first half of 2015.